Finally found the right basketball court! Surprisingly it isn't that easy in Prague. Most of them are coupled with football field and, you know, everybody plays football here so no basketball for the rest of us. Second obstruction is that they are usually locked - school courts, mainly. And if you can get in, I bet there's 95% chance that the baskets are pulled down. 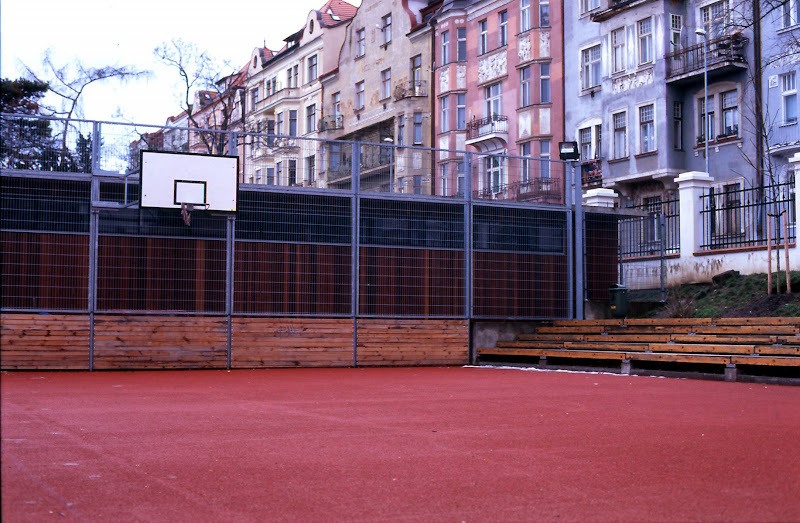 So this is my new favourite basketball court.